This is a chance for you to experience Iceland off the beaten track and explore parts of the country where its history becomes alive. Many Icelandic Sagas (Egils Saga, Sturlunga, Laxdaela saga and Eyrbyggja saga) were written in the west part of the country, folklore is everpresent and you can find historical sites around every corner. This South-West itinerary is a suggestion on how you can not only see the best of Iceland but also learn about the history and heritage of the local people. Start in Reykjavik and drive towards Borgarnes. Borgarnes is one of the sites of the famous Saga of Egill Skallagrímsson therefore many places from the Saga can be found in the city, botanical garden with Egil‘s sculpture is one example. 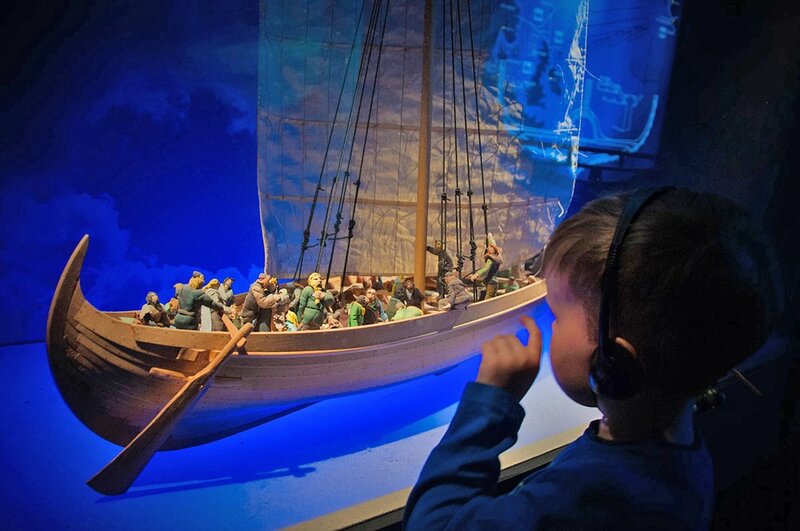 Visit the Settlement Centre with exhibitions that give you a great chance to put your Iceland visit into the context of the country’s past. Prepare for a 1-2 hours visit as the exhibition offers audio guides in many languages and here you can also enjoy your lunch at the in house restaurant, before driving further. Next visit the Agricultural Museum of Iceland at Hvanneyri (Landbúnaðarsafn Íslands) and the cosy cafe in the city. Next is the visit to Reykholt and Snorrastofa, one of Iceland's most important historic places. The scholar and famous author of many Icelandic sagas Snorri Sturluson lived here in the 13th century. This is where he wrote some of his extraordinary literary works, Heimskringla, Snorra-Edda and Egils saga, which give great insight into the Icelandic society of the time. At the cultural centre (Snorrastofa) located here, you can go for an exciting private group lecture (available in different languages) with one of the local experts. Interactive exhibition elements for children are also available. It was very common for Icelandic people in the past to use hot springs for both washing and bathing. Today you can find hot pools all around the country, which are a great way to relax after a long day on the road. The original and still functioning hot tub in Reykholt was first of its’ kind in the middle ages, designed to feed the bath from nearby cold and hot water to adjust the temperature. If you feel like some more adventure, you can drive towards Hraunfossar waterfall with a view of second largest glacier in Iceland, Langjökull. The Hraufossar falls emerge from under the moss-covered lava and form a cascade river of crystal blue water. On your way you will find the Europe´s most powerful hot spring - Deildartunguhver. This geothermal hot spring provides hot water for the central heating in the Borgarnes area.Stay overnight in the area or continue driving to the Þingvellir area for the night or back to Reykjavik. Start your day early with your camera fully charged. Today you will visit some of Iceland’s must sees – The Golden Circle, and explore a few key historical sites of the area. 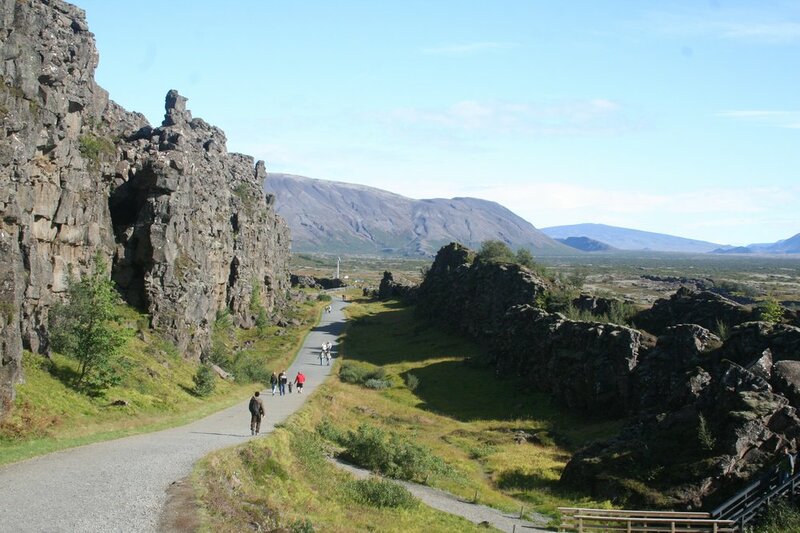 Begin with a walk around the Þingvellir National Park, where the first Vikings assembled forming a parliament. Here you can also see two tectonic plates diverge: Eurasian and American, therefore this is a UNESCO World Heritage Site. Next suggested stop is Laugarvatn, a beautiful area with hot springs and warm lake suitable for bathing whole year round. Afterwards continue driving to Geysir, a famous erupting spring which is a great example of Icelandic nature’s force. Here you can stop for late lunch and try the famous Icelandic lamb soup. To compete the famous circle head towards Gullfoss, the most famous Icelandic waterfall, offering an interesting story of the area and a spectacular view of the forces and beauty of untouched nature. In the second part of the day prepare yourself for an Icelandic culture and history lesson. 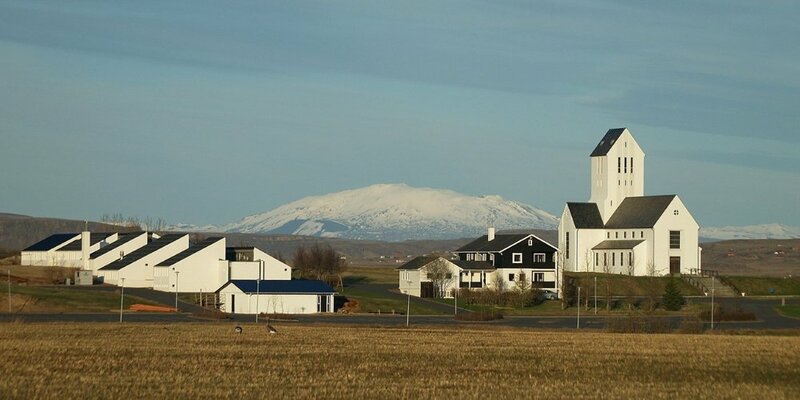 First on your way further south is Skálholt, one of Iceland’s most important historical sites, home to many bishops in the middle ages and center of culture and education for 700 years. Many churches stood here over the centuries and the modern cathedral was inaugurated in 1963. In the crypt is an exhibition from the National Museum, including the sarcophagus of bishop Páll Jónsson (bishop 1195-1211). If you are in a mood for a delicious tomato soup and a visit to the famous Friðheimar greenhouse, make your way there for a short break. Next stop is Stöng – the reconstructed medieval farm in Þjórsá river Valley. The Commonwealth farm in Þjórsárdalur is one of Iceland's best kept secrets. The turf house is a modern reconstruction of a longhouse from the saga age Iceland and if you are looking for unique experiences in Iceland, this is one of them. Also the orginal ruins of Stöng are accessible in the summer - ca. 5 km north of the reconstructed farm. 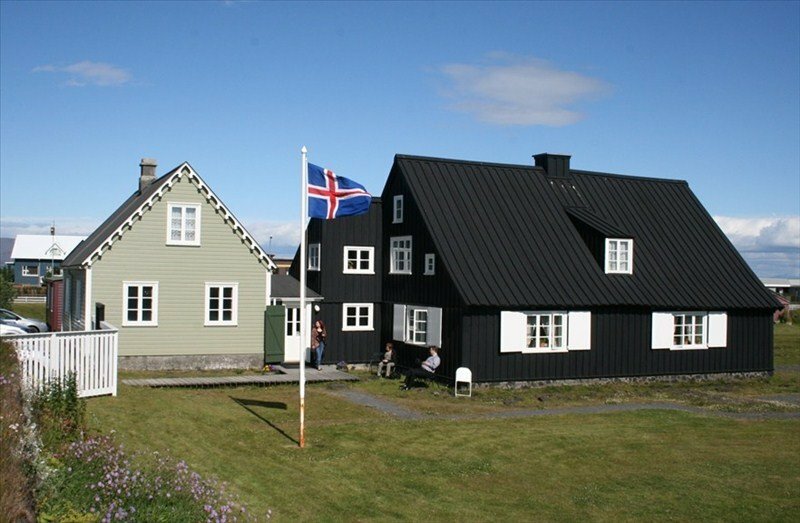 On your way back to Reykjavik don't miss the Árnessýsla Heritage Museum - The House at Eyrarbakki, which is one of Iceland’s oldest buildings, built in 1765 when Danish merchants were allowed to overwinter in Iceland for the first time. For almost two centuries the House was the center for art and European culture in Iceland; fashion, music and literature spreading from there throughout the country. Next up is Hveragerði – a geothermal city where you can taste the traditional Icelandic ryebread cooked in hot steam and enjoy a beautiful hike to a hot river for a bath in the evening.